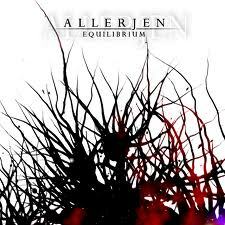 It took me a while to be ready to give a rating to EQUILIBRIUM, the second album from U.K band ALLERJEN and at first I couldn’t put my finger on why. After a handful of repeated listens and putting the disc away for a couple of days and trying again, I realized it was down to one very simple question… Did the fact that there is a strong element of ‘Core’ music influence affect the overall sound too much or not? The answer I came up with was simply no. There is an element of Deathcore here, and yes even a tiny Metalcore influence too, but it’s wrapped up amongst plenty of other styles and influences that combined make up a sort of deathy, thrashy, progressive groove metal sound that feels oddly familiar, while still managing to sound different enough to be a worthy player in the bigger picture. Make no mistake though, this is an intense album that hits you pretty quickly and stays in your face throughout its entire running time. Occasionally I felt that the vocals of frontman John Dower were a little one-dimensional in comparison the variety on offer from a musical perspective, but I can’t fault his execution though as he is a very strong vocalist that has the whole modern aggression thing down better than most. The band’s previous album had much more of a straightforward and structured sound that owed a lot to PANTERA, and here Dower sounded larger than life itself, but I just wish he could have added a couple of more strings to his bow for this new record. The songwriting itself it the highlight of the album and shows that these guys understand how to mix styles and still come out sounding cohesive, and tracks like ETERNAL NIGHT, BEYOND THE PROMISED LAND and THE PROCESS OF BEING offer up just the right combination of standard metal structure and interesting progressive-esque variations. If bands that like to mix up styles interest you then definitely give EQUILIBRIUM a go, there’s plenty to like about this album and even though the ‘core’ elements are here they never intrude enough to deter those that try and stay away from anything ‘core’ related. I still think that the base of the ALLERJEN sound is modern groove metal, so if that’s your thing then be sure to take a quick listen.